There are days when my work is easy. Everything in front of me is stuff I’ve done before and I know I’ll be able to knock it out of the park. Those aren’t really the days I remember. Instead, it’s the days that are hard, challenging, that seem to stick in my memory because of how much work was involved. But it’s not just a difficulty setting that makes the memory stand out – it’s the success that comes from pulling off something I wasn’t sure I was going to be able to accomplish. 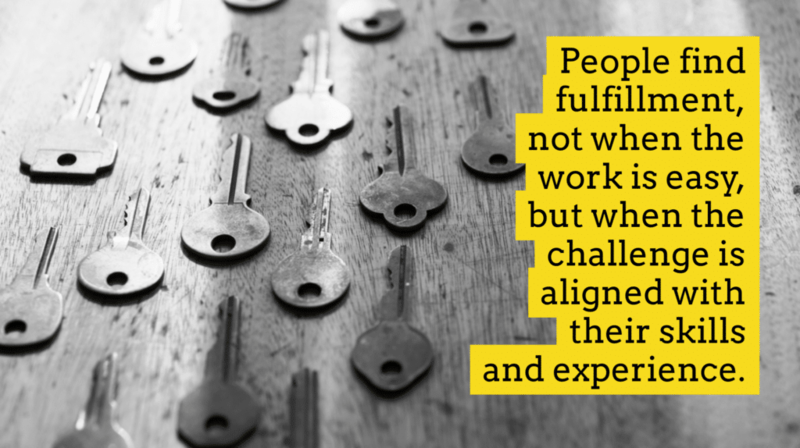 Finding fulfillment is all about alignment. When our unique past, the sum of our experiences, and our skills come together in a way that makes the impossible just barely possible, with enough work – that’s the alignment that brings fulfillment. At least that’s how it works for me. And how it works for most of the people I lead. And I’m guessing it’s how it works for the people you lead too.